Half a year since Eco-Stewards Richmond, I can still recall many vivid scenes from our Journeying Toward Justice Along the James River program last June. In one, we’re gathered in a circle near the banks of the James listening to the story of Earth Mother as reenacted by Beth Roach, a Member of the Nottaway Indian Tribe of Virginia and Grants Manager of the James River Association. Afterwards, she tells us about the 2015 James River Unity Walk (a Nibi Walk or Water Walk) when Sarah Day, an Ojibwe elder, led walkers from the James’ headwaters near Iron Gate in the mountains to its confluence with the Atlantic Ocean at the Chesapeake Bay at Fort Monroe. Indigenous women carried a bucket of water downstream, praying for the water as they walked beside it. The ceremony recognizes women and the sacred connection between their body and the water. Men don’t participate but are allowed to walk beside the women and carry the Eagle feather. The women carry water, the women carry life. Beth led us Eco-Stewards on a few steps of a simulated Walk for Unity. It was a powerful experience for me as a Male being told I was not allowed to carry the water no matter how badly I wanted to. 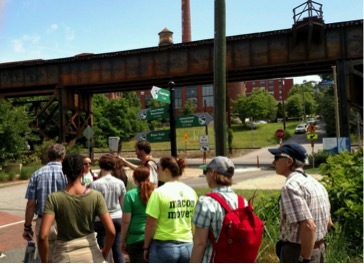 The Eco-Stewards Richmond group walks with Beth Roach in a “simulated” Walk for Unity along the James River. 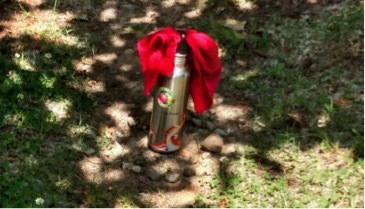 Beth’s water bottle, a symbol for the water the women carried in the Walk for Unity. Since my Eco-Stewards journey on the James River, or the Powhatan River, my company, Affordable Energy Concepts, has been doing a large solar project for Bath County Schools. It’s the largest school system solar array in Virginia, and one school has a solar array so large, 100 percent of it’s annual power bill will be generated by the sun. Read more here. This project is special to me because I graduated from Bath County High School in 2008 and this past September, I put solar panels on my high school. How cool is that! How is the James River involved in this project? Well, our company is based in Madison Heights, which is just across the James from my apartment in Lynchburg–about 2 hours by car upstream from our Eco-Stewards home base in Richmond. Essentially every Monday since Eco-Stewards, our crew has piled into the truck for the weekly ride. 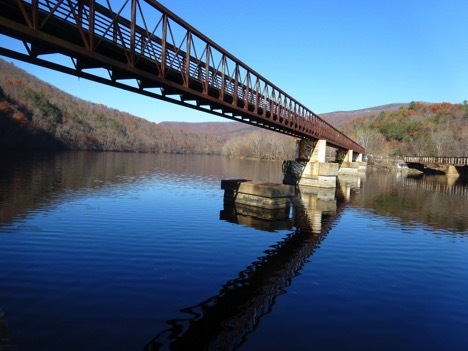 We snake east along the James over the mountain and turn north before Glasgow to follow the Maury River upstream to Lexington; then follow Kerr’s creek uphill and cross over the hill to chase Bratton’s Run downstream to Goshen, where the road follows Mill Creek to the eastern end of Bath County. We then cross over another mountain into the Cowpasture River Watershed, and for two of the schools, we cross over one more mountain into the Jackson River Watershed. These rivers and streams are all in the James River Watershed. The river is first called the James River at the confluence of the Cowpasture and the Jackson—the place where water from two of the schools meets water from the third school. This is where they started the Walk for Unity. Our weekly commute is mostly along the path of that 2015 water walk. There’s something thought provoking in recognizing that our sweat on the job, the melted ice we pour out of the cooler each day, the rain that soaks us on the job, and now the snow blocking the solar energy to the panels, all flows back to our home base farther down the James River, and farther on toward Richmond– all within the same river that our Eco-Stewards group held sacred in Richmond last summer. It’s the river Beth and the Ojibwe walked in prayer. The river of impressive stream habitat and water quality restoration in Ralph’s talk. The river of the most horrific parts of the slave trade. 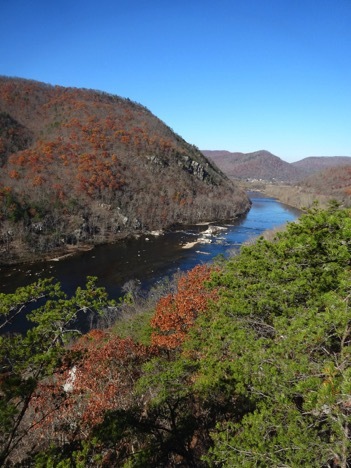 The river of the Nottaway people, the Monacan people, and other indigenous tribes. 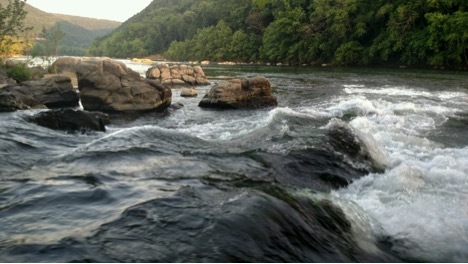 The river flowing below the Richmond Hill Community, where we ate, slept and prayed. The river inspiring our song-writing. The river of the Eco-Stewards’ prayers. These past five months have felt like a continuation of the week-long Eco-Stewards journey, hearing stories of neighbors while on the road up and down stream, growing closer to my coworkers on the long car rides. Learning that my crew lead Justin helped build a shelter at the park where the Maury and James meet. Watching a co-worker Andrew yell at the highway sign holder throwing trash in “his river” on the road construction site. Hearing stories of co-workers getting in trouble for jumping into the James off the Appalachian Trail Foot Bridge. Catching Amazing scenic views of the river on Highway 130. I am an Eco-Steward and the James River is my home. It’s been a gift to be part of the Eco-Stewards in my own watershed and to keep living in and meditating on that same river. I’d encourage everyone reading to explore your watershed, find out where God is working in your watershed. Pay attention to how the roads follow the waterways. And most of all get to know it. “Once you know it you will start to love it, and then you will protect it”— words spoken by at least three of our Eco-Stewards guests speakers. So true. 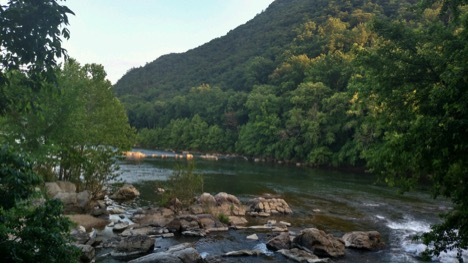 The pictures below are of places where I’ve stopped along the long commute to get to know the James a little better. 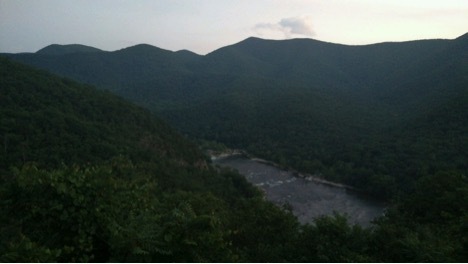 View of The James River near Rockbridge-Amherst County Line. Taken on my commute home from Eco-Stewards Richmond (June 2017). 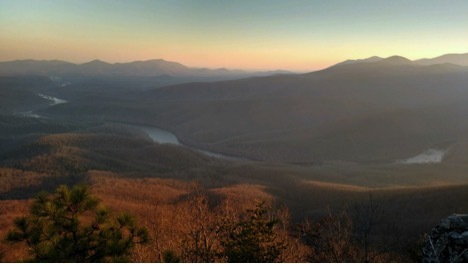 The view looking east from The Appalachian Trail, three miles north of Foot Bridge near Snowden Dam (January 2017). View looking west toward Glasgow, near Rockbridge-Amherst County Line (November 2017). Close-up shots of the confluence of the Maury River and the James River at a park in Glasgow. James River Association helped sponsor construction projects at the park. I did not know about the park until I started exploring the weekend after the EcoStewards Richmond Program (June 2017). James River Foot Bridge (Named in Memory of William T. Foot) Looking west from the south side of the river (November 2017). Beautiful! Thank you for honoring these sacred waters that thread us together. It’s a beautiful tribute. Thanks Kristen! 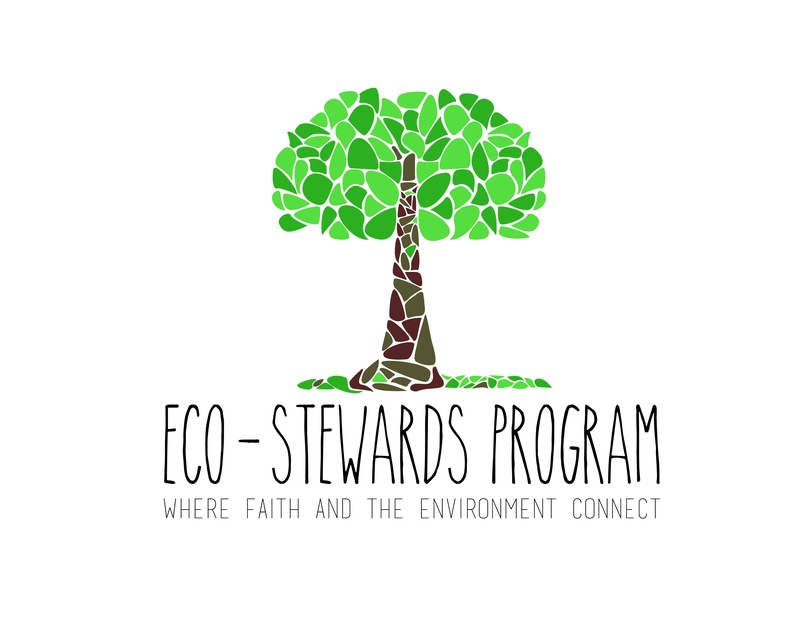 Glad you are staying connected to our Eco-Stewards virtual community.